Left Focus: Labor‘s Socialist Objective in the 21st century - principles for economic democracy and equity ? Labor‘s Socialist Objective in the 21st century - principles for economic democracy and equity ? One of the 'more' curious aspects of the current debate around modernising Australian Labor is the recurring proposal to abandon the party’s socialist objective, and commit Labor wholeheartedly to a neo liberal economic model. Troy Bramston‘s Looking for the Light on the Hill: Modern Labor‘s Challenges takes up this theme also. This is 'curious' because we are presently witnessing the greatest failing of free market neo liberal economics since The Great Depression, largely stemming from a lack of regulation and governance. So, it is a strange time to be advancing a position supporting free market economics, particularly in a debate about the future of a social democratic party, when one looks at the concrete realities of the current situation. In this debate, the reality is that the choices being presented are between the principles of economic democracy and of equity of the socialist objective or a neo liberal agenda of privatisation and deregulation that has progressive social policy grafted to it, with the aim that the latter will mitigate the effects of the former. Since the late ‘80s, there has been a shift to the right in terms of economic policy by social democratic governments internationally, and all these experiences have shown the reality that such programs have meant less equitable outcomes for Labor’s people, and led to declining electoral support. Locally, this approach is exemplified by the recent activities of the current Queensland state government and the former NSW government. Both have driven supporters away electorally, and are unlikely to deliver equitable outcomes in the long term. Many of the opponents of the socialist objective use warnings of some grim imagined Sovietesque economic basket case, that they claim would be the practical manifestation of any implementation of the socialist objective too. This is disingenuous. As a social democratic party, participating in politics in an advanced industrial country like Australia, it would be much more instructive to look to the labour and social democratic parties of Europe and their experiences, in regards to economic policy and programs. In this debate, one country’s experience is informative, Sweden, because the Swedish social democrats developed an alternative economic model that achieved economic growth and equity in the post-war period. And the Swedish social democrats understood that free market economics were incompatible with the interests of working people and social justice, so attempted to develop their own economic model, rather than rely on existing mainstream economics. Just like the first Labor activists in Australia who drafted the original socialist objective here. 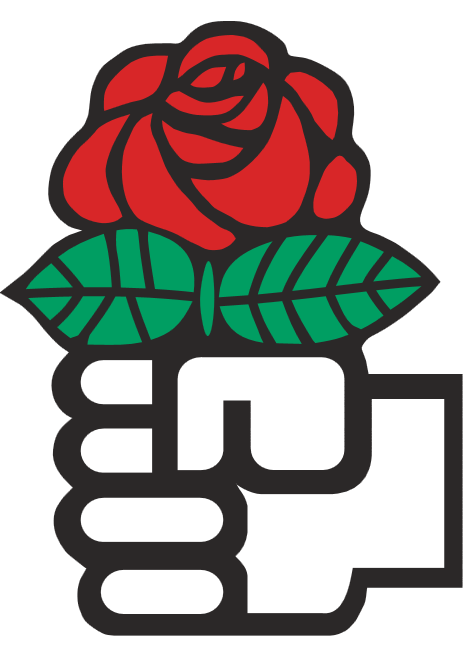 The Swedish social democrats goal of economic democracy centred around 2 themes-industrial democracy and collective capital formation, which it was envisaged would lead gradually to the transformation of private ownership of the means of production to social ownership. The Swedish economic model is also interesting because nationalisation as a strategy was rejected early on, and Sweden has also never had a large public sector either. Practically, this alternative economic model lifted Sweden out of the Great Depression earlier than other advanced economies and, in the post-war period, led to high rates of economic growth and lower rates of unemployment than comparable economies. The Swedish social democrats themselves experienced an unprecedented period of electoral success over the same period. The end result is a country with a high standard of living, more equitable distribution of wealth and a modern dynamic developed economy. All in all, an economic program worth further examination in any debate around the socialist objective. We need to see this debate in terms of the need for an economic model that meets both the party’s economic and social goals, and clearly free market economics has already discredited itself, as recent history shows. Sadly, one only needs to look to the US to see the shrinking middle class, the product of a sustained neo liberal economic agenda over the last few decades. in the case of the high priests of free market, the economics are defunct indeed. I have dealt with the economics of egalitarian reform extensively in this paper linked below. In terms of economic structure we should look towards not only Sweden but also some success stories East Asia- where state intervention has/had dramatically reduced the sensitivity of investment to profitability- hence mitigating the potential negative effects on investment of egalitarian reform.